Sponsored Post: This post was sponsored by Sarah's Silks. My family received free products in exchange for this review. As always, all opinions are honest and my own. and all of their friends STILL play with our silks every week. 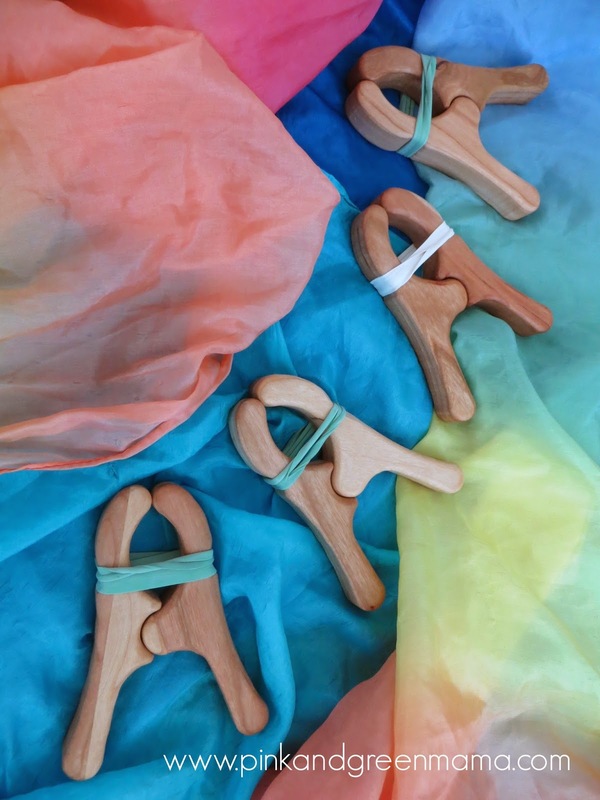 They are a classic and timeless imaginative play staple and you can't say that about a lot of things that have come and gone through our playroom over the years. These silk scarves and silk scapes have been used in our house for dress-up, party decor, room decor, fort building, small world play, slings, doll hammocks, halloween costumes, holiday decor, gift wrap, and more. 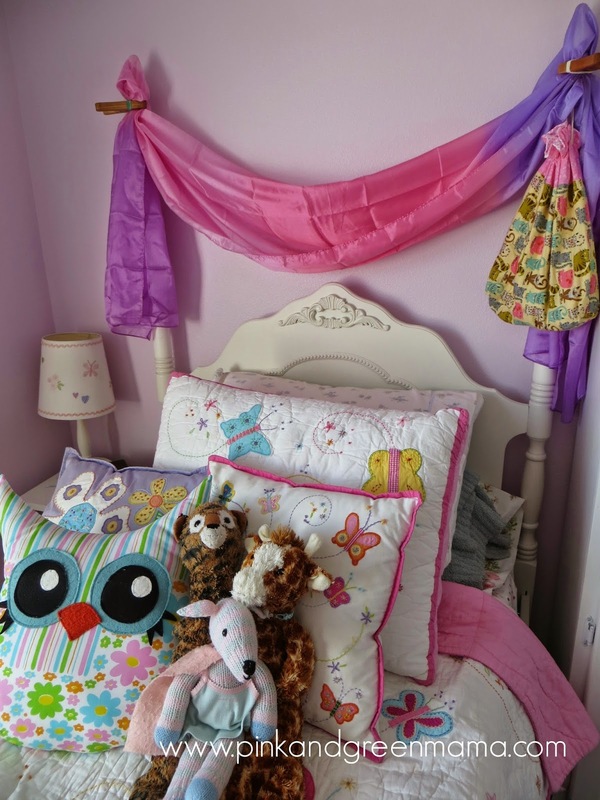 When Sarah Lee herself, yes that Sarah...contacted me and asked if we'd like to host a giveaway for you, my readers, the girls and I were positively giddy. This is why I have the best job ever! We already had the "Rainbow" silk scape and the "Star" scape. they are our new favorite! tables, chairs, bed posts, etc. 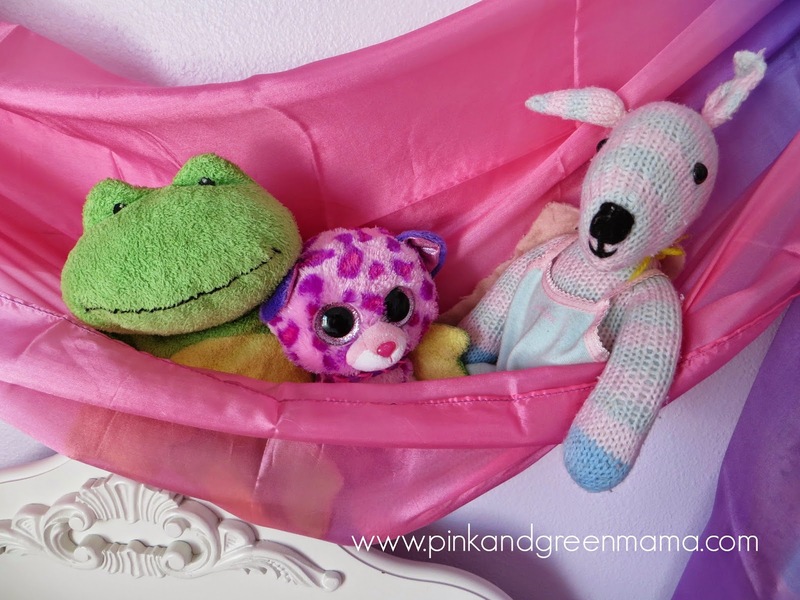 They're perfect for making forts, drapes, and playscape backgrounds. and the kids can work them by themselves - bonus! As soon as the girls got home from school, "E" my tween claimed the blue and green "Sea" silk scape as her own. It measures a generous 9 feet x 3 feet and it is 100% silk. She draped it across her window in her room as a window treatment. 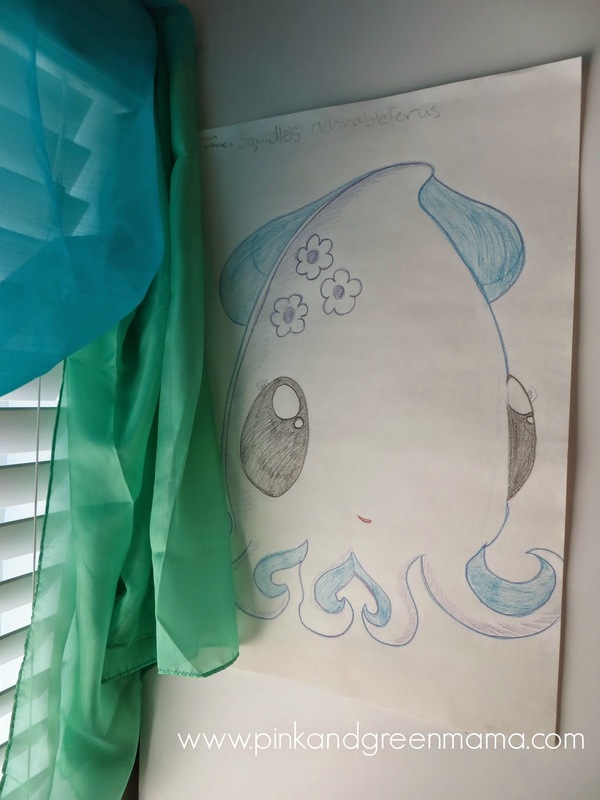 I didn't get a better picture because the window was backlit with afternoon sun but you can see how perfectly the colors go with one of her homemade squid posters. "E" has also used the silk scape this week as a table cloth, dress-up toga, and a piano cover. I have a feeling it may go to college with her someday to be used as dorm room decor! for some of her special toys. As you can see in the photos, the colors are perfect for her! 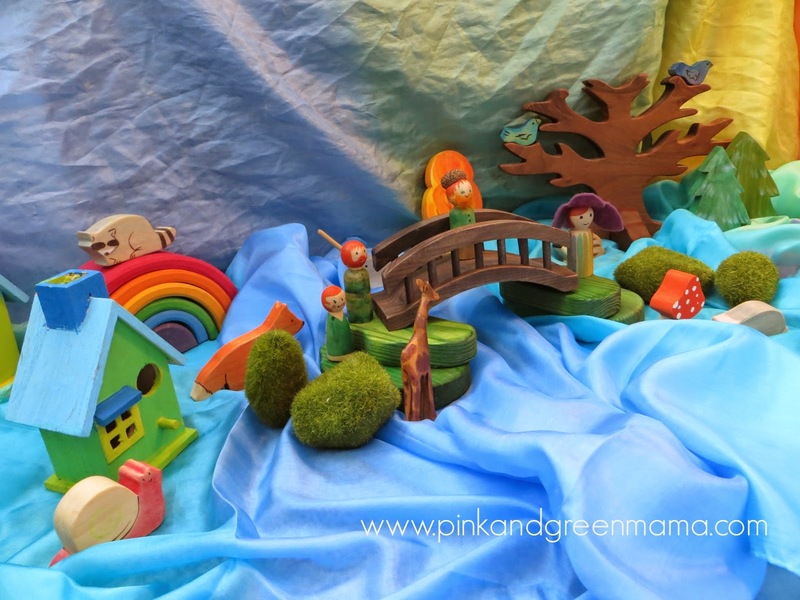 imaginative play scenes and small world playscapes. 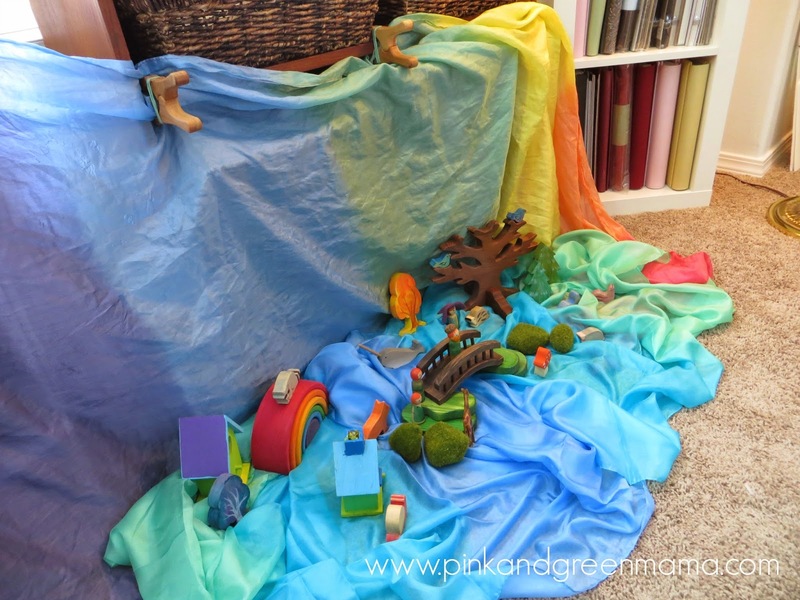 Here's a little "world" I found in our playroom the day after the new silks arrived. 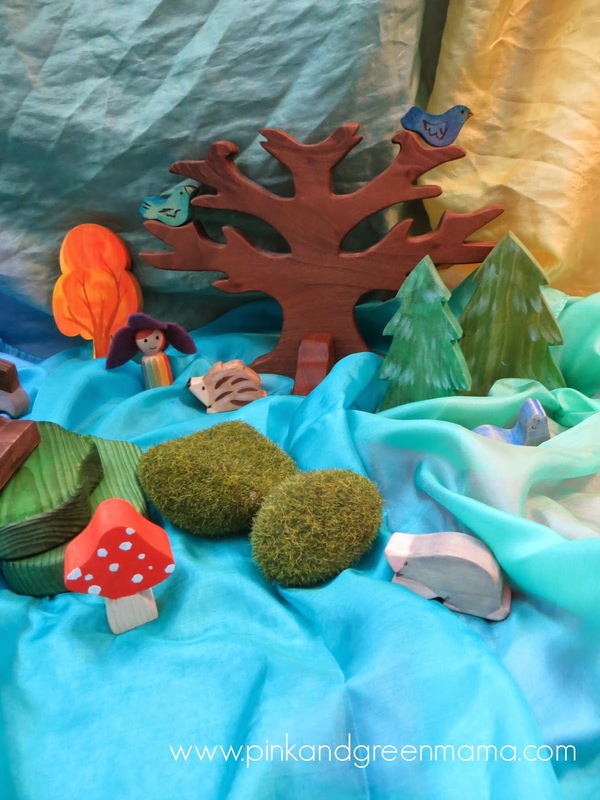 little lands and worlds on the floor in front of it. So do you love Sarah's Silks as much as we do? 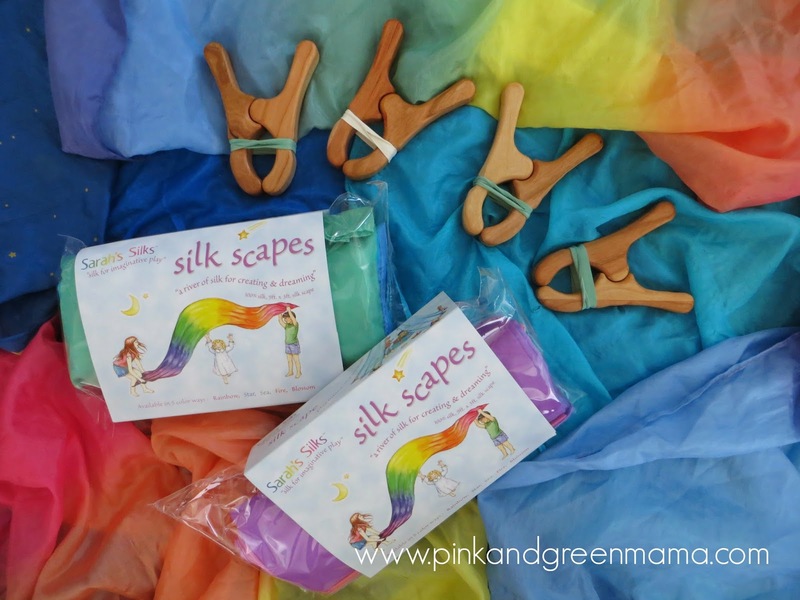 Do you need a silk scape for your own kids and play room? I think you do. and classic gift that they will not outgrow for many, MANY years! 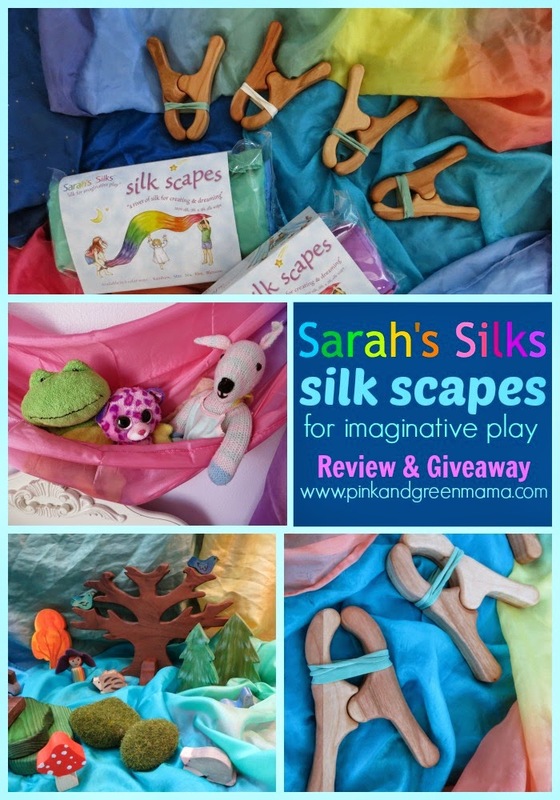 Sarah has generously offered to give two of my readers (in the USA) each their choice of a silk scape.